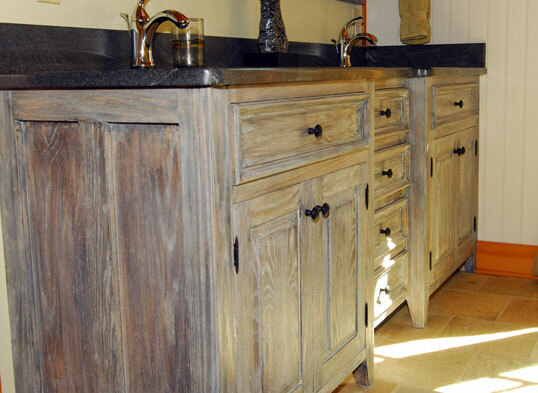 Custom Bathroom Vanity. 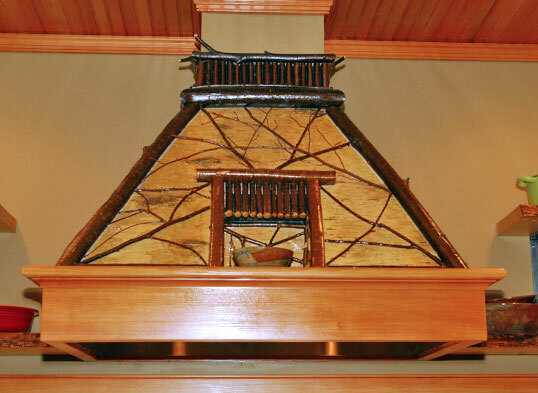 Finished in custom "weathered oak." 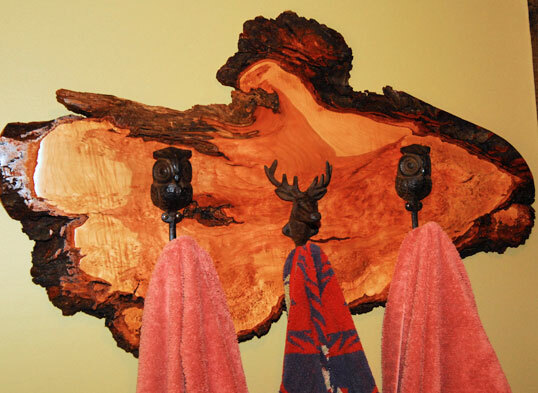 Simple and fun towel rack. 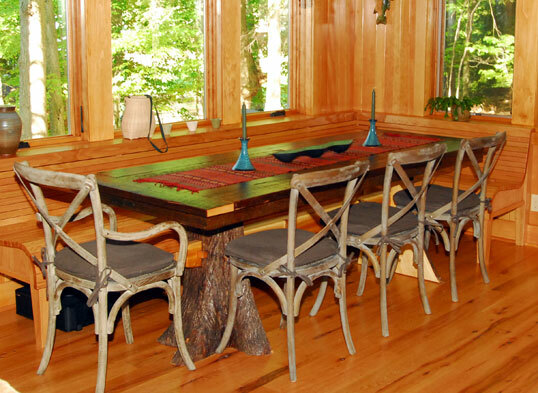 Custom Dining Room Table. Reclaimed wood top. Tree-stump base with a solid oak built in seat reminiscent of a park bench. 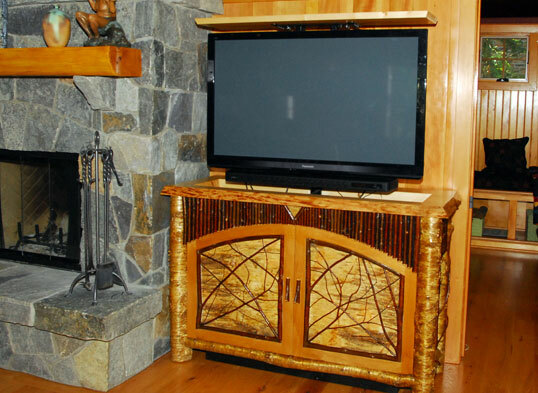 Rustic style TV cabinet with lift. 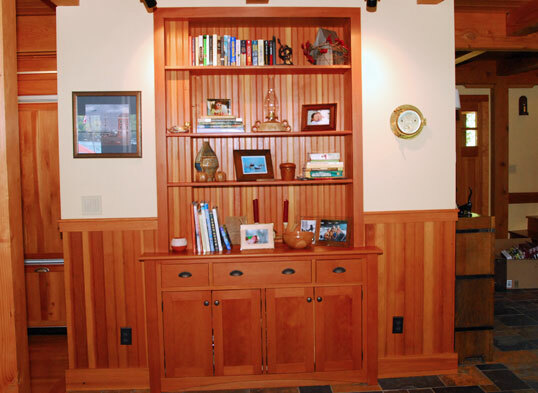 Solid fir built in bookcase unit. 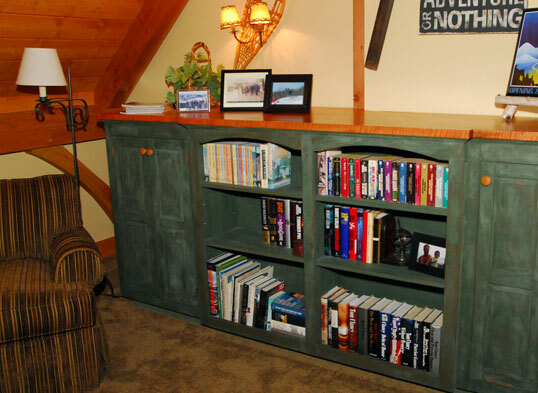 Office bookcase in custom evergreen finish.